. Not today my friends, not today. These are epicly delicious, I kid you not! 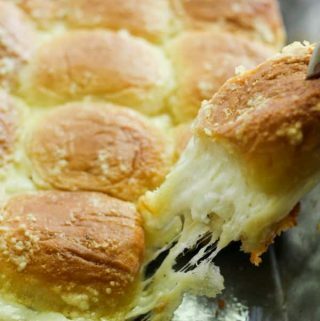 If you’re a fan of cheese and garlic bread, then you will be a fan of these bad boys. 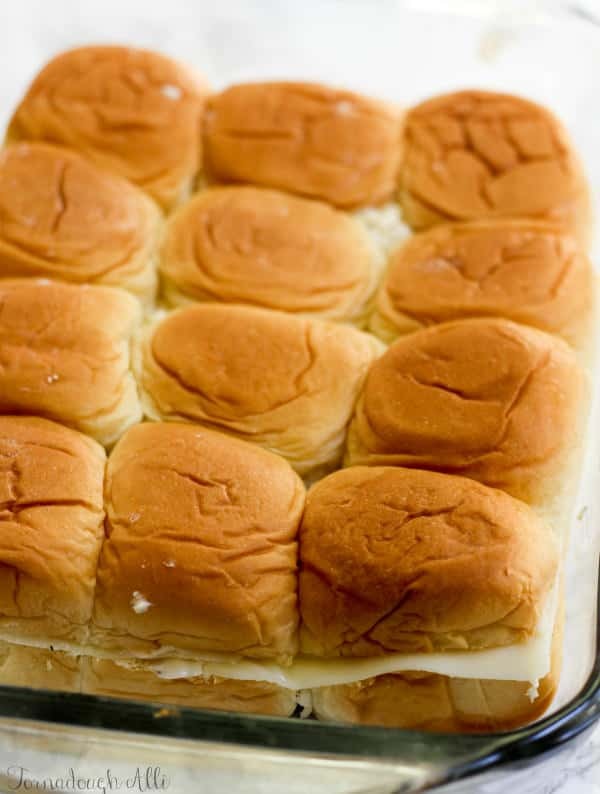 Seriously ooeey, ,gooey cheesiness is what these sliders are all about! 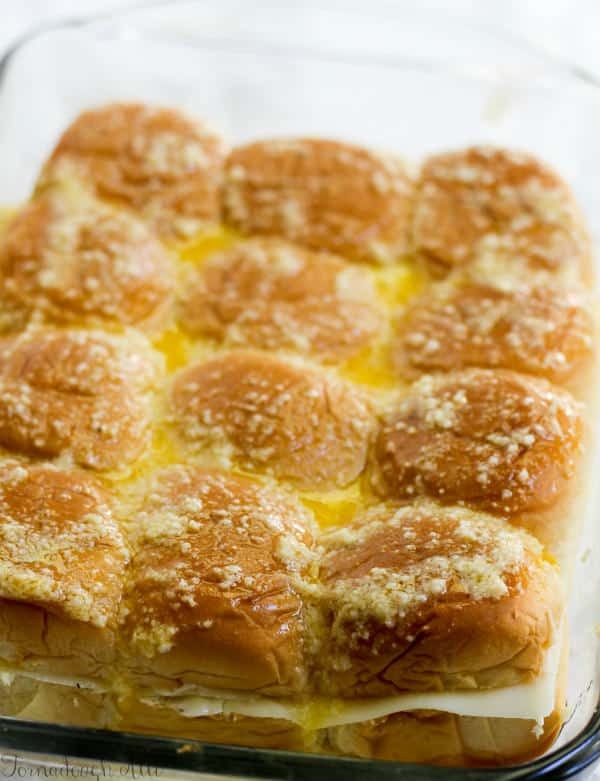 Slider buns are lathered in a butter, garlic and Italian seasoning spread, topped with layers of sliced mozzarella cheese then all drenched in more buttery, garlicy, cheesy goodness. Can I tell you something even more exciting? These are super quick and easy! Like one of the easiest slider that you ever did see! And I’ve seen a bunch, but none like this. Probably why this is one of my faves! 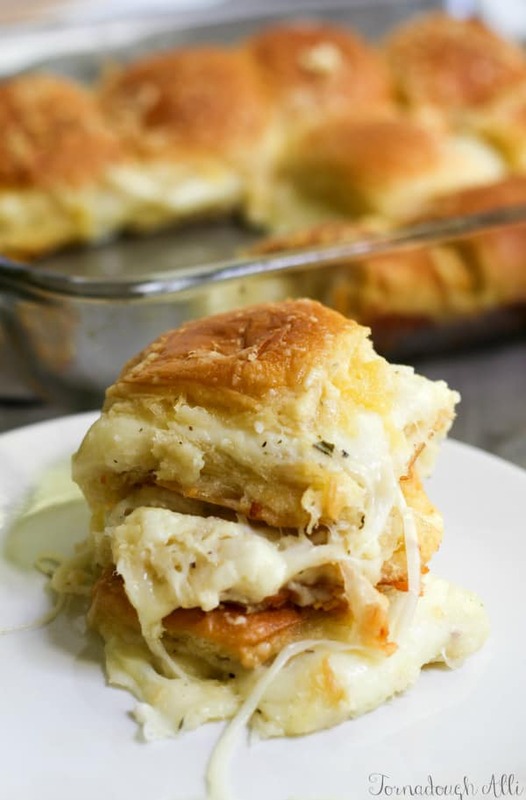 I’m a garlic bread fanatic, so why not combine garlic bread and another one of my faves..cheese and make it one big happy “sandwich”? 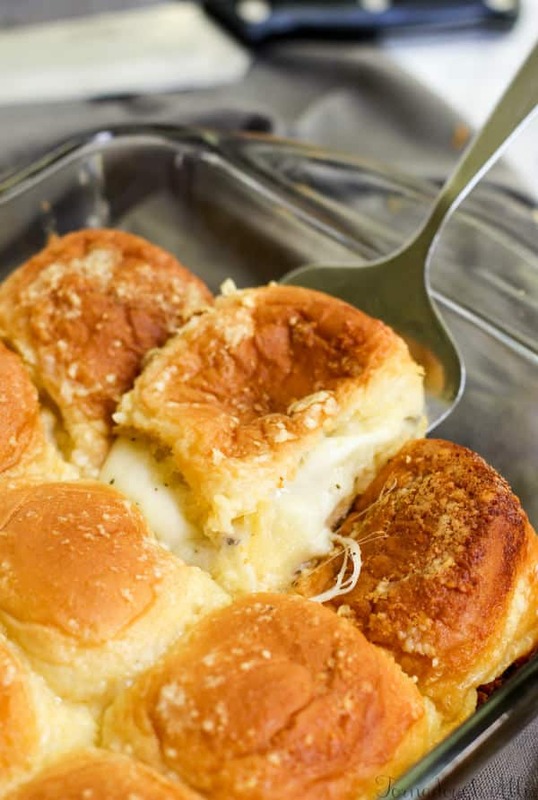 Delicious slider buns slathered in garlicy butter, topped with mozzarella cheese, drenched in cheesy butter and baked. May substitute garlic powder if you aren't a salt fan. Or omit completely. Oh yum! These sound delightful. 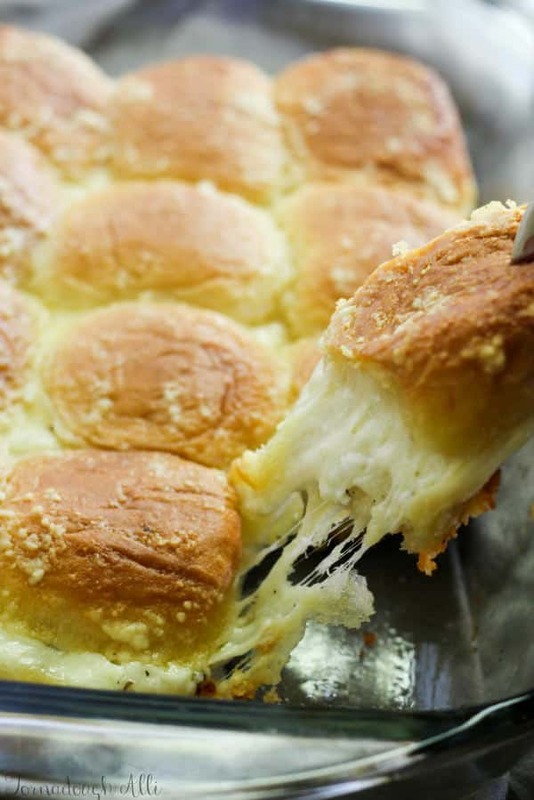 And who can resist something oozing gooey cheese like that? Would love to have these with some of my homemade tomato soup. Yum! Oh my goodness, stop it. These look unbelievable. 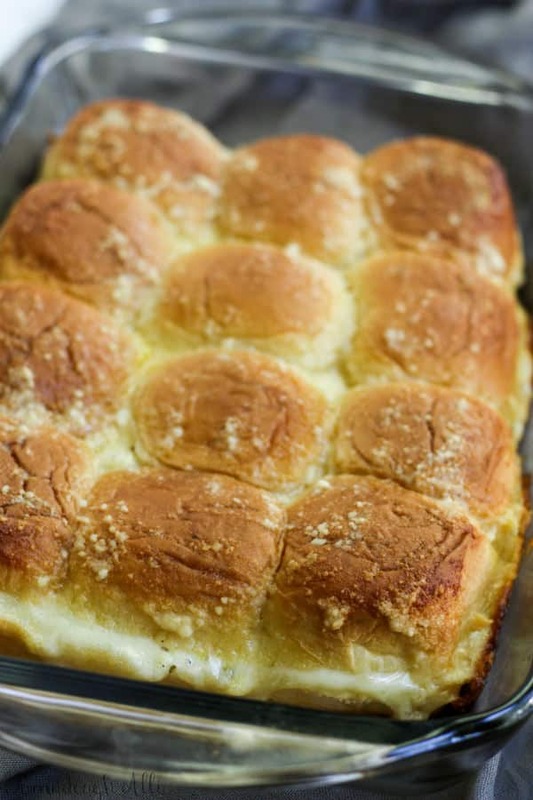 Bread, cheese, butter, garlc? Yes, Please!!! I absolutely LOVE garlic, but the garlic salt was way too much for these! My husband and I were so excited to try these and we both could barely eat them they were so salty. Next time I will not be putting in the garlic salt at all. Oh no, I’m so sorry Tiffany that these were too salty for your liking. My husband and I actually loved these but I love salty things, lol. I have since edited the recipe to include substitution options, or omissions based on a person’s salt preference. I hope you try them again but switching it up for your taste!